Beautiful two tone pink fabric stud mini earrings for elegant evenings, pink pattern flower fabric button earrings for weddings, parties! 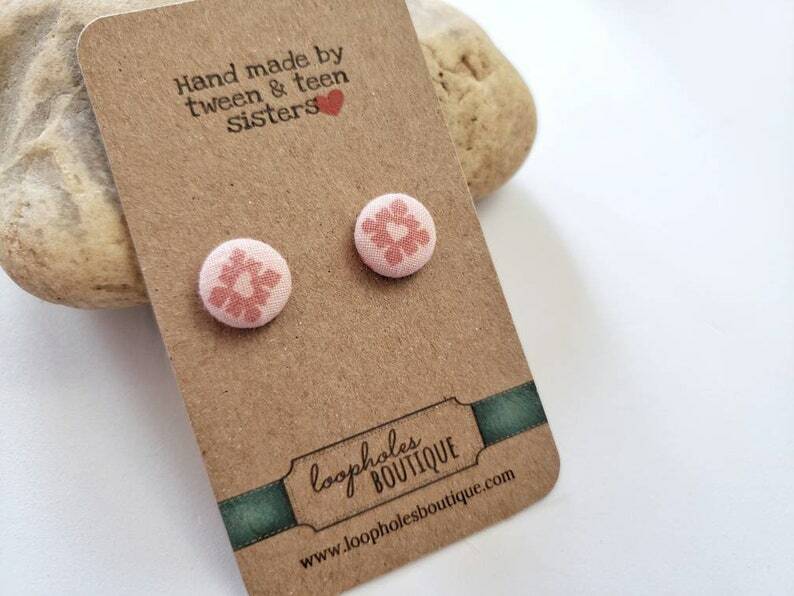 Our classic and popular stud button earrings made with a two tone pink pattern fabric! These beautiful floral button earrings are a little smaller than the size of a dime and are perfect for fancy nights and fun days too. They come with backings of course! These fabric stud earrings make great wedding and bridal party earrings! Beautiful subtle blue flower fabric stud mini earrings for elegant evenings, blue floral pattern fabric button earrings for weddings! I'm glad to see the girls are back. They, and all of the earnings I have purched from Loopholes boutique have been just as discribed. You girls are doing a great job! Yes they shipped on time. My first pair of button earrings, love, love, love them. Beautifully striking pink and black floral fabric stud mini earrings for elegant evenings, rad style fabric button earrings for weddings! Vintage Finds -- Gold Plated and Fashion Diamond Dangle Earrings found in Italy! Vintage Finds -- Colorful Fashion Dangle Earrings found in Italy! 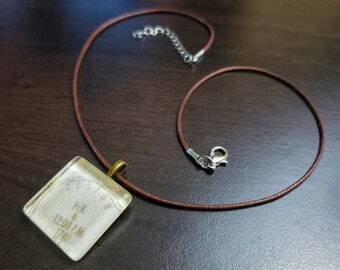 Vintage Finds -- Earth Tones Fashion Dangle Earrings found in Italy! Vintage Finds -- Colorful Pom Pom Stud Earrings found in Italy!